Today I present you my new discover, you know I am not a fan of foundation but this one makes a good exception. 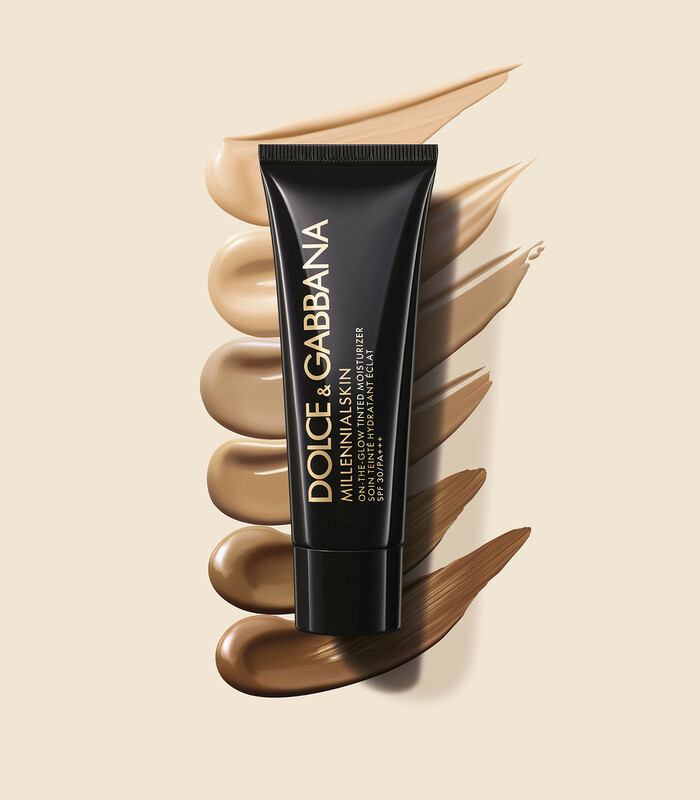 The D&G Millenialskin on-the-glow tinted Moisturizer is so light and fresh with a natural luminous finish. It let my Skin so hydrated for all the day and it is so easy and quick to apply also for a non-expert like me. The Millennial Skin on-the glow tinted moisturizer comes in a black box , and ingredients written on it in gold. 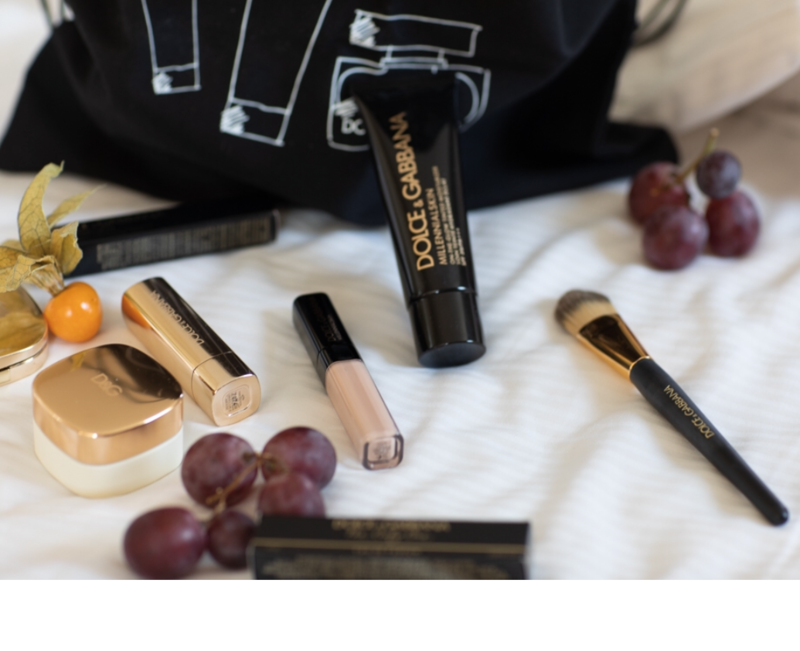 In the box, Dolce & Gabbana has included an instruction The cream tube is a 50 ml, with all the ingredients written + instruction in the black box package. This product is suitable for all skin types, for women of any age. It is oil-free, you can apply it if you have oily skin. There are 10 different colors , ranging from a very light Porcelain tone to a darker one; Sable. I choose “SAND” , because my color’s skin is really white, and on the face is so natural. I suggest you to try the color before buy because some are very very similar. It also does well in minimizing the appearance of pores and fine lines. So it totally replaced cream foundation with a more natural and less cakey finish. According to Dolce & Gabbana, this product provides up to 8 hours of full hydration. After trying it, I discovered that the skin actually gets more hydrated and softer. Similarly, after constant daily use, I noticed that it reduced skin cracks if the skin was fairly dry, and it increased softness remarkably. It also takes the place of sunscreen as it comes with a broad-spectrum protection against UVA and UVB rays with an SPF of 30. The Millennial Skin on-the glow tinted moisturizer can be easily applied and doesn’t require a brush, with hand for a quick re-touch during the day. before a meeting. 54 EURO for a 50 ml capacity. This price is the same price charged for tinted cream moisturizers of high-quality brands. Hightly recommended for a daily beauty routine, for women like me that has not so much time but want a radiant skin.